Former Fiji High Commissioner to Ma­laysia and school principal Suliasi Lu­tubula, who died at his Delainavesi, Lami, residence earlier this week, has been described as a strong leader and very hard-working man. His wife, Sereima, said her husband was a caring man and did things for her to make her life easier. She was reminiscing about their life as a cou­ple and said she really missed him, especially when he would always buy perfumes for her as her Mother’s Day gift. “I was just telling my sister he would go out of his way to buy gifts from Tappoo … and I’ll miss that,” she said. 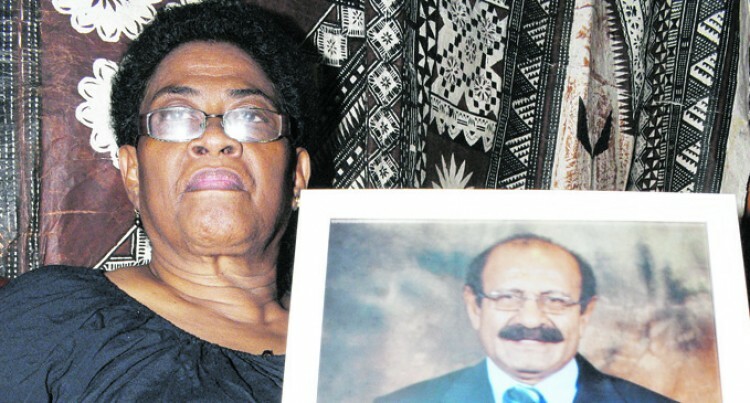 Mrs Lutubula said her best memory about her late husband was when she accompanied him to Malaysia after he was appointed Fiji’s High Commis­sioner there. “I experi­enced the life of a diplomat’s wife,” she said. Mrs Lutu­bula said her husband was a family man and cared for his immediate and extended families and al­ways reminded them was that “money is not everything”. He was a for­mer head boy of Queen Victoria School (QVS) and later a teacher and principal. “Most of the old scholars say he was the best principal. I think being a former student and head boy of QVS he knew all the ins and outs of the school and was a proud Victorian,” Mrs Lutubula said. She said her husband was always sad when QVS was highlighted in the newspapers for bullying. “He did not like that,” Mrs Lutubula said. Mr Lutubula was also the principal of Navo­sa Central College and Ba Provincial Second­ary School. He was posted to the Ministry of Education and took up the post of Director Secondary Education. He started his teaching career at Gau Jun­ior Secondary School, now known as the Gau High School. Mr Lutubula hailed from Mabula, Cicia, Lau, and was survived by his wife, three children, a son and two daughters and six grandchildren – four granddaughters and two grandsons. He will be laid to rest today at his farm in Davuilevu.